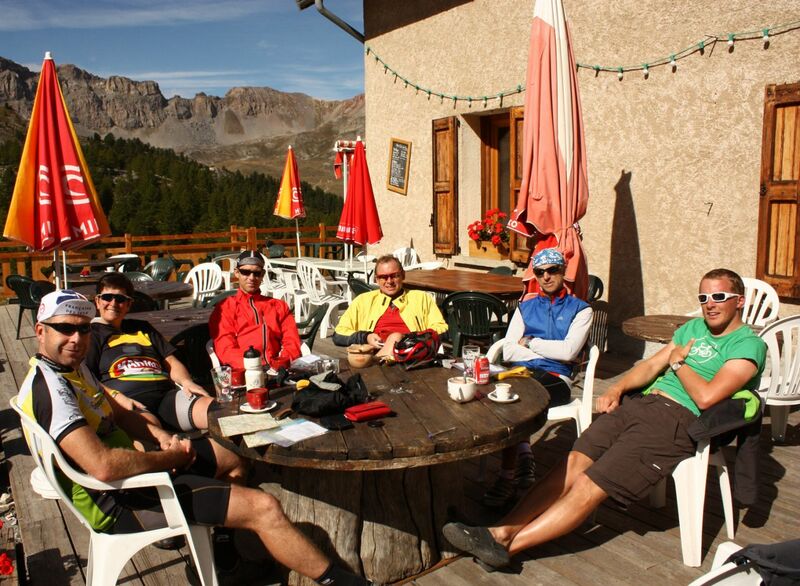 Many thanks to the French Cycling Holidays and especially to Susan and David for the great time in the mountains! We struggled, but it was a lot of fun. Thank you for helping us in gaining satisfaction and in setting new goals for the future! Collection and drop offs are from Geneva airport and Geneva rail station. For riders who have strong confidence in their cycling fitness. Daily distances can be over 100 km on mountainous terrain. 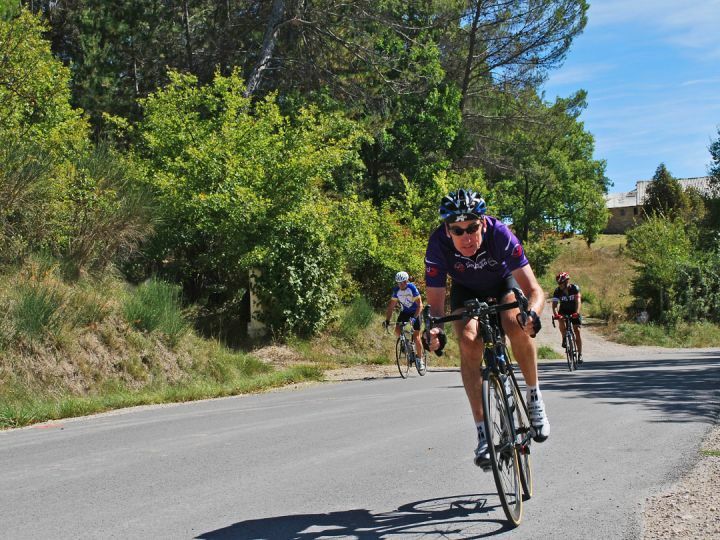 Tours will include climbs of over 10 km in length ( many made famous by the Tour de France!) .Cyclists should have the endurance to ride long distances and steep gradients over multiple days. Our tour of the legendary cols takes the majority of the great climbs of the northern French Alps — names familiar from Tours de France from the last 50 years. You will be following in the wheeltracks of Bartoli and Coppi, Anquetil and Poulidor, Mercx, Hinault and Armstrong. …not bad for a single week of cycling! 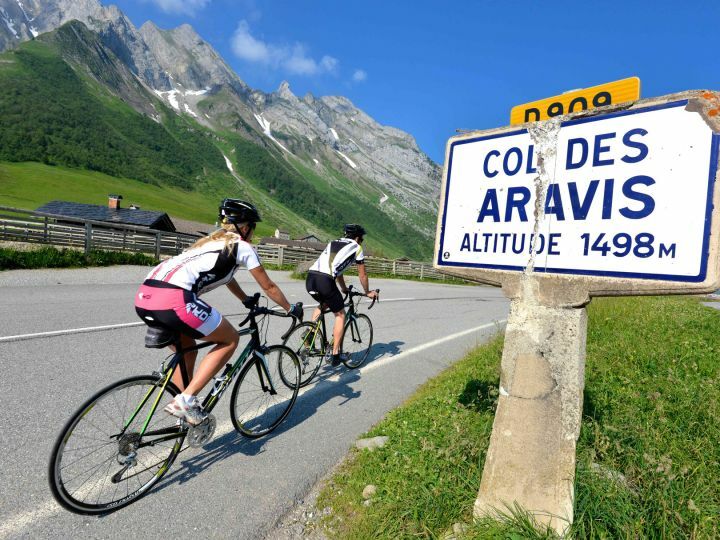 If it's in the northern Alps and the Tour goes over it, chances are we do too! We collect from Geneva airport and train station, and transfer to our hotel in Annecy on the shores of the Lac d’Annecy. 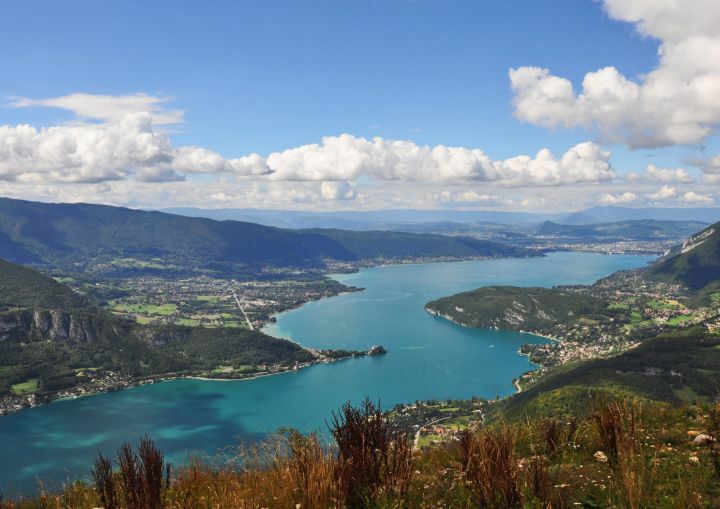 Those eager to get some early climbing in can tackle the Crêt de Chatillon (1699m) at the top of le Semnoz, via the Col de Leschaux (897m), taking in some breathtaking views of the lake before dropping down to Annecy for a fantastic dinner planned with the week's efforts in mind. Straight in to the climbing, we tackle the Col de la Forclaz (1150m), in the Tour in 2004 when Richard Virenque was first over the top, before whistling down to the village of Faverges with its 17th century château, in the shade of whose walls a welcome coffee break awaits. Then comes the climb of the Col de Tamié (907m), also featured in stage 17 of the 2004 Tour. 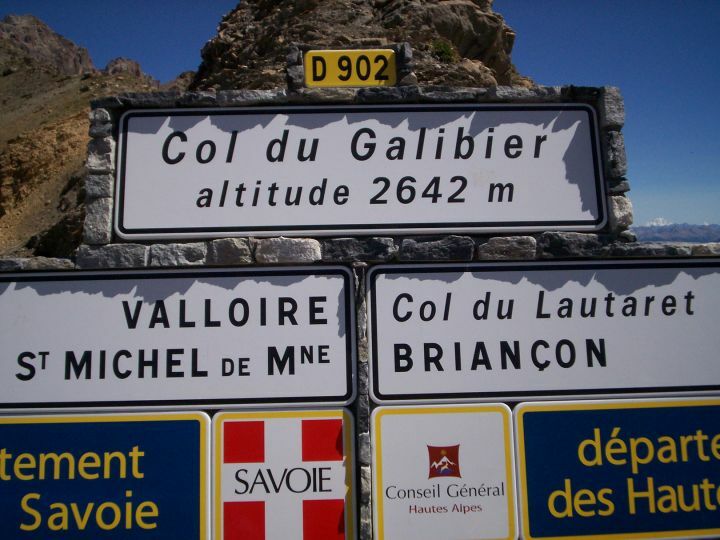 After lunch in Albertville comes the day's big one, the Col de la Madeleine (1993m) which has featured in the Tour de France 22 times, most recently in 2005. Luckily on such a long day we are tackling it the 'easy way' with an average gradient of 5% — which of course means that the descent to La Chambre is exciting with an average pitch of 8%. A quick run along the valley brings us to our hotel in St-Jean-de-Maurienne. Only one climb today — but what a climb! Following the Arc valley, we come to Lanslebourg situated at 1387m altitude, where a left hand fork puts us onto the lower slopes of the Col d'Iseran (2764m). 33 kilometres later we crest this monster, stopping for lunch and some of the most staggering views in the French Alps. The Iseran was the first ever mountain time-trial in the Tour (1947) and in 1996 was scheduled to be in the tour but was cut at the last minute due to the snow — maybe bring some arm- and legwarmers! It featured in the 2007 tour and the first across was Yaroslav Popovytch. Descending into the valley of the River Isère, we stop in the swish ski resort of Val d'Isere for the night, as charming in the summer as in the winter. A very slightly gentler day today, taking it a bit easier as a deserved reward for the exertions of the previous 2 days. Even so, we tackle two renowned climbs from the Tour — first up is the Cormet de Roselend (1967m); a beautiful climb is rewarded by a glorious view of the Lac de Roselend just down from the summit. A regular on the Tour, 2007 saw Michael Rasmussen go over in the lead. An optional detour round the lake lets us add an additional col, the Col du Pré (1703m). A drop down to the village of Beaufort sees the two routes converging, and it’s a great spot for lunch before tackling the afternoon's climb, the Col des Saisies (1657m). As you approach the summit of this pass, last used in the 2006 Tour, the views to Mont Blanc are simply stunning. A quick descent brings us to our hotel in Crest-Voland. The Aravis featured in 2002 and 2006; not too tricky when tackled fresh, we descend only briefly before bagging the Croix Fry, and dropping into Thônes for lunch. The Colombière has featured a remarkable 18 times, with riders like Landis, Virenque, Pantani and Herrera amongst those to take the honours. Britain's Barry Hoban was first over in 1968. A fantastic downhill carries us into Cluses, from where we climb to the ski resort of Samoens and our hotel. A day steeped in Tour de France history! A bumper crop of cols to round off the week — but as we are going downhill towards Lake Geneva, or Lac Leman to the locals, most of them are done the 'easy way'! First up is the Col de Joux Plane (1713m), an hors categorie climb in the notorious 2006 Tour stage from St-Jean-de-Maurienne to Morzine where Floyd Landis staged his staggering recovery only to test positive for testosterone. After a coffee in Morzine we take on the Col de la Ramaz (1610m) and, after a brief descent, the Col de Jambaz (1027m). A lunch stop in Bellevaux, then one last climb over the Col de Feu (1121m) brings us in sight of Lake Geneva; all that remains is to roll downhill to our hotel in Anthy-sur-Leman, 100m from the lake. After breakfast and an exchange of photographs or emails, we transfer back to Geneva for onward flights and trains. Right on the shores the Lac d'Annecy with wonderful views, yet 5 minutes walk from the bustling old town, the 3* Le Catalpa was totally refurbished in 2014. There is plenty of space for setting up bikes, and with immediate access to the bike trail running round the lake, and it is a super place to start the tour. This former coaching inn is fully up to date and close to the centre of St Jean de Maurienne, a bustling valley town ideally situated between a couple of big climbs – the Madeleine and the Iseran. A boutique hotel in the heart of chic Val d’Isere, the Altitude is recently renovated yet maintains a cosy Alpine feel. You might prefer to be on the balcony with une biere fraiche though instead of by the fireplace with a vin chaud! With views over the Chaine des Aravis (which we’ll be riding in the morning) the Caprice des Neiges sits in a stunning location just outside the village of Crest Voland. The indoor pool makes the most of these views and helps to ease away the aches of the Iseran and others! An old bakery on the edge of the village of Morillon, which has been converted into a charming traditional Alpine chalet hotel, the Hotel le Morillon has very comfortable rooms, gorgeous views and an indoor/outdoor pool which overlooks the mountains. Just a minute’s walk away from Lac Leman (Lake Geneva), the Auberge d’Anthy is a beautiful hotel which has been running since 1927. The bar is also a meeting point for locals, and the restaurant has a superb line in fresh, lake-caught fish to round off our week of dinners. A dip (of bike and body) in the lake is almost obligatory! "Our third tour with French Cycling - they keep getting better! You'll have to add some more routes!" Connor and Geoff, Cleveland OH. "Met our expectations and much more! Some tough climbs, but the encouragement and support (and cakes!) from Ken and Dave meant we all got to the top of each one. Planning next year's trip already!" "Loved it! Ticked off so many Cols from my list! Fantastic organisation and support, and I met some great folks who I'll stay in touch with. Maybe a reunion tour in a couple of years!"